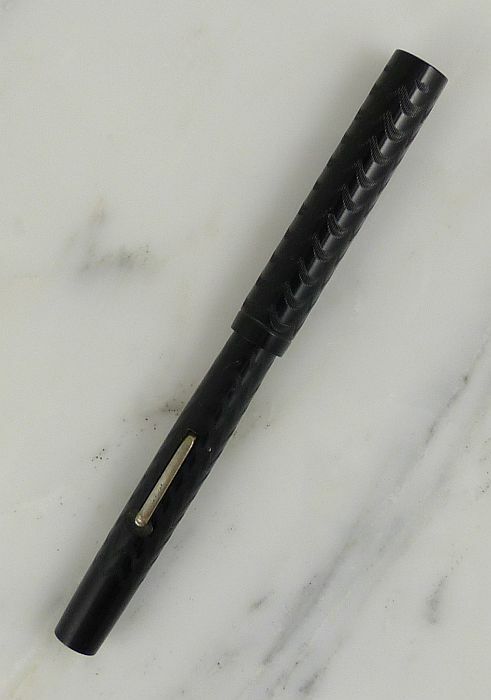 This unusual black chased hard rubber lever-filler is marked “The Bankers Service Corporation,” “19 Warren Street, N.Y.” That entity offered a variety of services to banks; here’s one of their ads, from 1922. 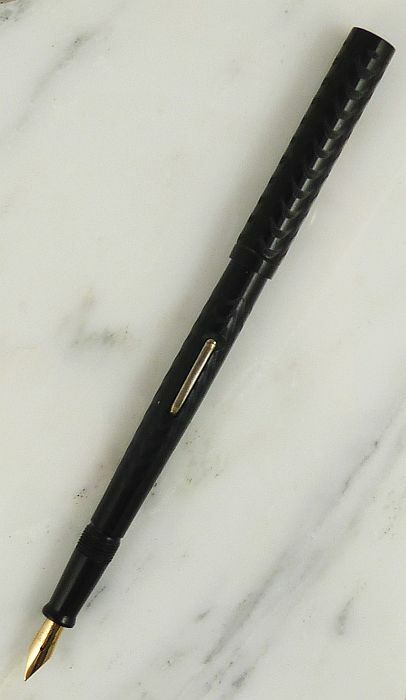 The pen is of high-quality manufacture, with an unusual groove just aft of the barrel threads — a moat for ink, perhaps? 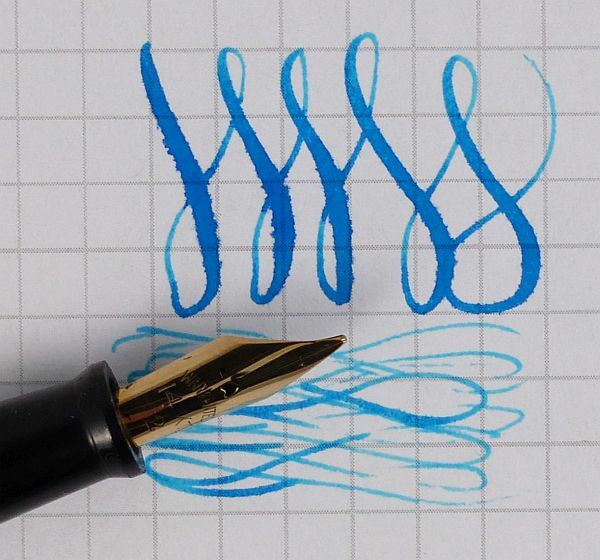 The nib is a medium-fine with a nice degree of flex, giving a 1.0mm tine spread at 375g of pressure. Unrestored.